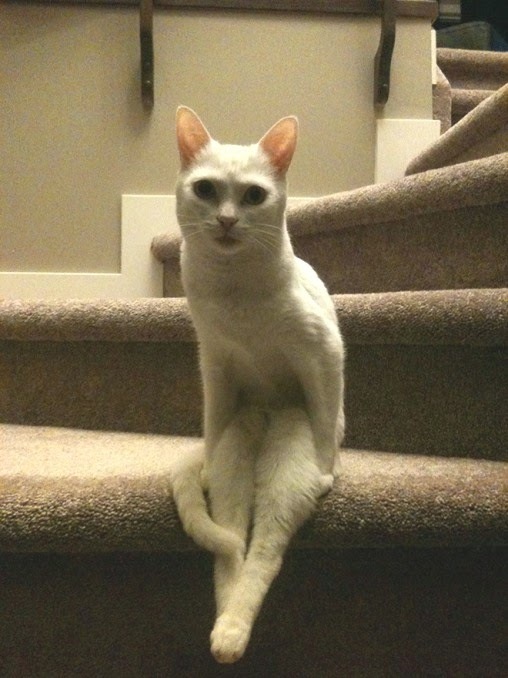 You can find and see a variety of funny sitting cat positions in the internet. Some of them made me laugh and amazed. Cute kitties! They seem to be relaxed in any position..Thank you for linking up and sharing your post. Have a happy weekend! Adorable and unique shots of your cats! 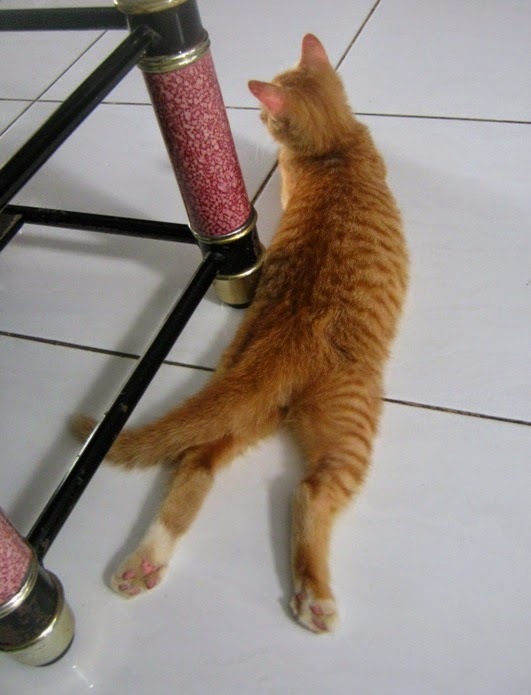 These certainly are funny 'cat' positions. Have a lovely weekend. That first pose is unique, I think. Our Molly the Cat sometimes sits against a wall or couch in what we call her cookie jar look. 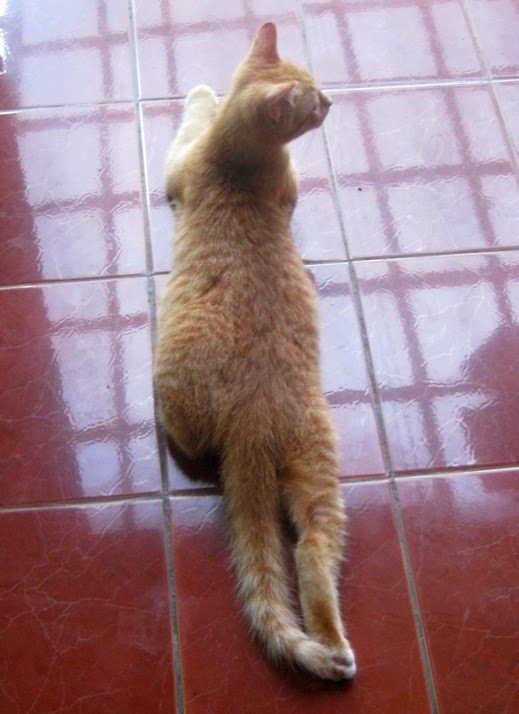 Our cats used to lie on their tummies with feet stretched to the back. Cute images! He's so cute! Have a great day, Lina. Gorgeous photos of your beautiful cats!